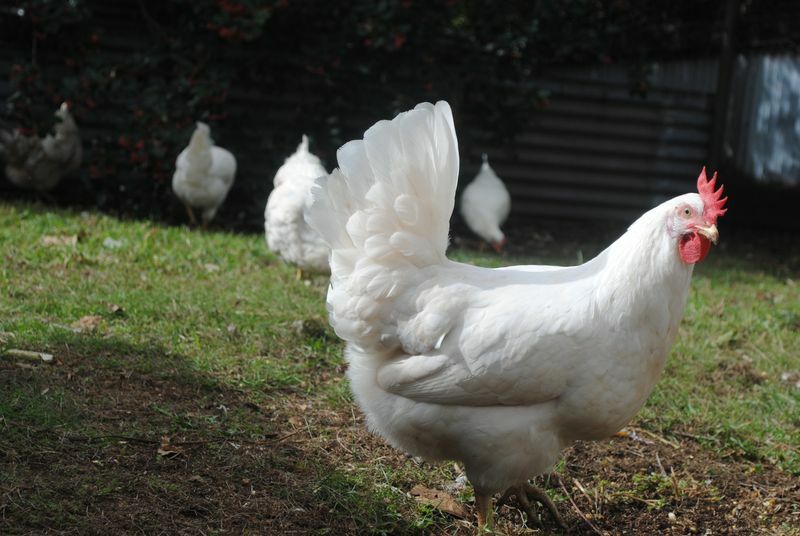 We bought twelve hens a couple of months ago, White Leghorns, 20 weeks old, at point of lay. I was worried it was something I'd neglected or fed her incorrectly or something, but the other eleven seem to be thriving so who knows. We had two eggs on the first day and thought we were so clever. Cancelled the egg order with our local food co-op, all systems go. And then no eggs. Just those first two – then nothing. 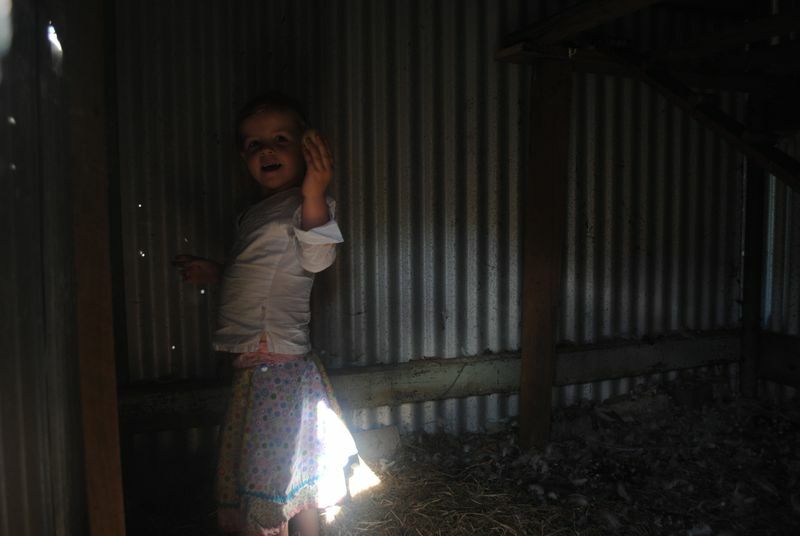 Tilly has taken on the responsibility of feeding the chooks. 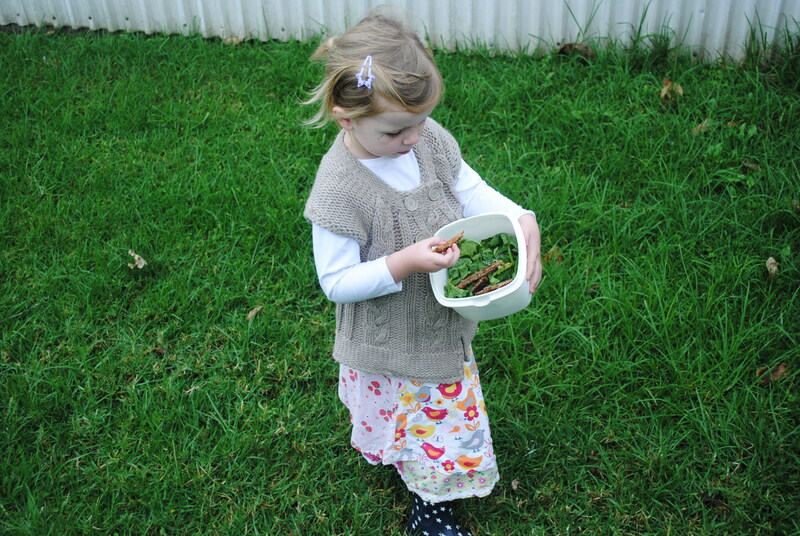 Here, below, she's assessing whether the food in the chook bucket is really for the chickens or whether she could have another go at that crust. 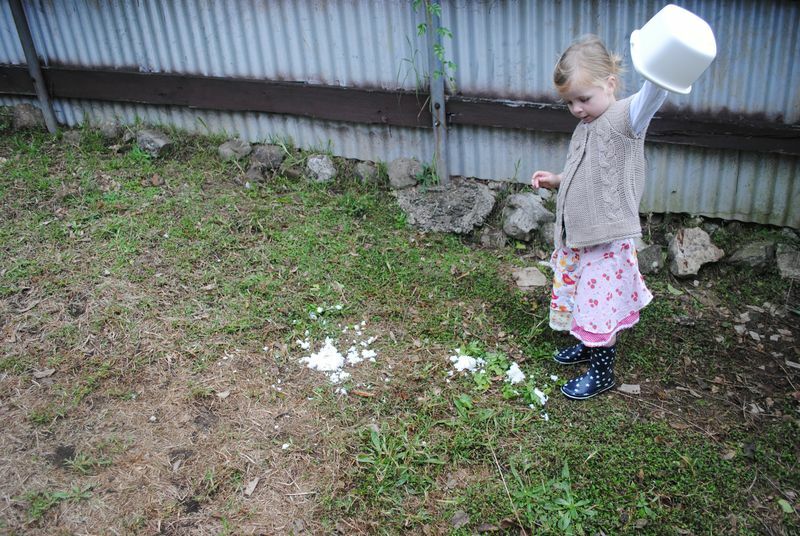 No one liked that white jasmine rice. Maybe the chooks will. 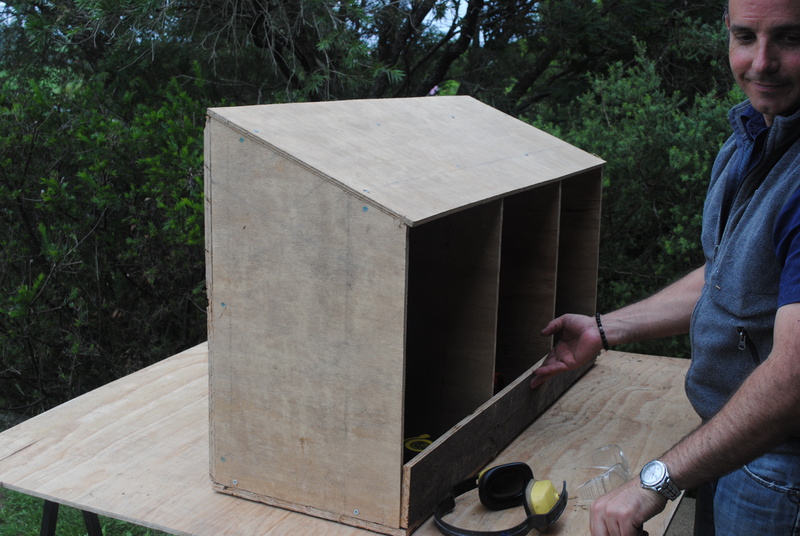 The nesting boxes we started with had no roofs and we wondered if that might be inhibiting them. Adam knocked up some new ones, marvellous man. 'Cept they still didn't lay in them. Sat ON them, as you can see… daft birds. See the wooden egg there chickies, that's your clue! Then a few days ago I found an egg. 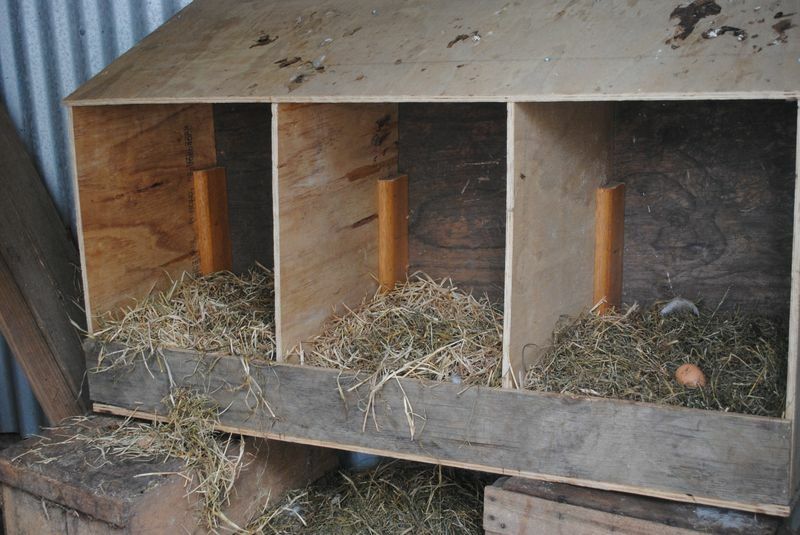 Not in the gorgeous roofed nesting boxes, but in the corner of the roosting room, on the floor. Tilly started checking in the corner every day, and we've got a regular layer. Hooray! 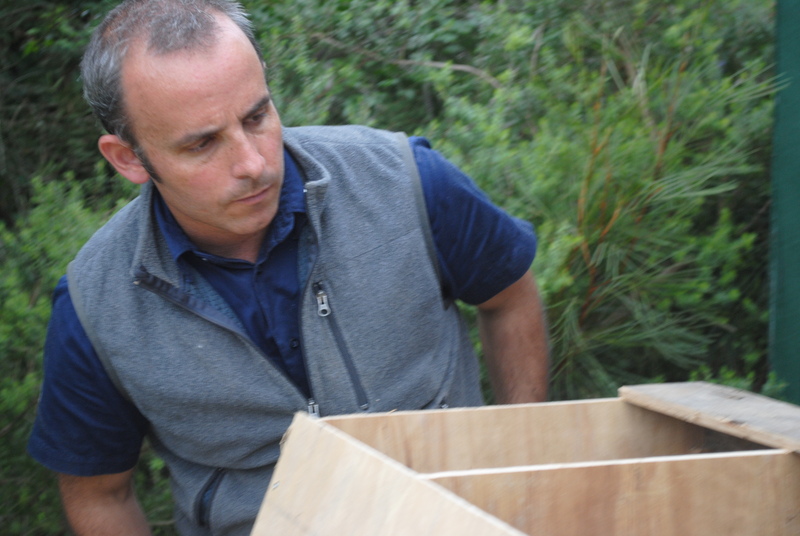 There's an egg in the nesting box! 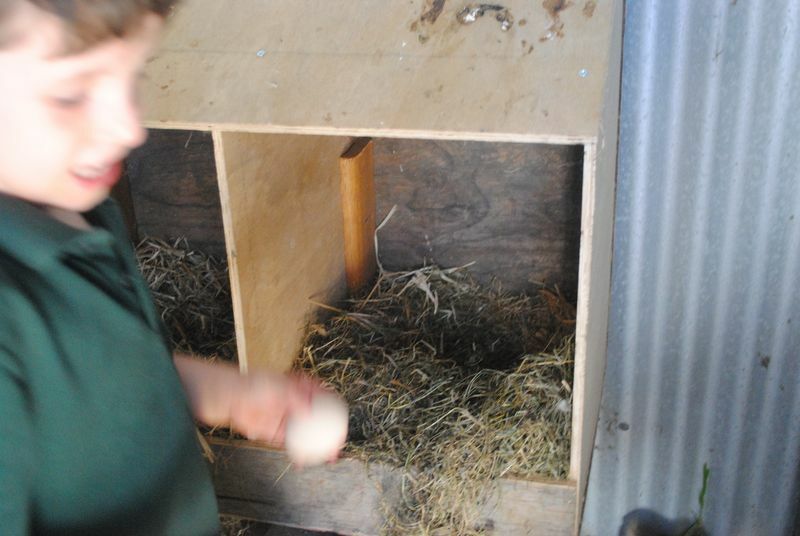 There's an EGG in the nesting box! We won't count our chickens before they're hatched (guffaw) but I reckon we're on our way to an omlette. Hope you lovely folk have had a marvellous week, thanks for taking the time to stop in here. I'm so grateful for your company. It is wonderful when you get good layers! Let’s hope they give you a bounty of eggy goodness! Only thing better than chicks laying eggs is chicks with a knack for a good (or bad) word joke. Congrats on the eggs and love your post, too! Congratulations and fingers crossed they keep laying! We would love to have a few hens we will have to wait a few years until our dog has moved on to greener pastures. I don’t think he could cope with the excitement of birds in his yard and I’m not sure the hens would appreciate him breathing down their necks 24/7. 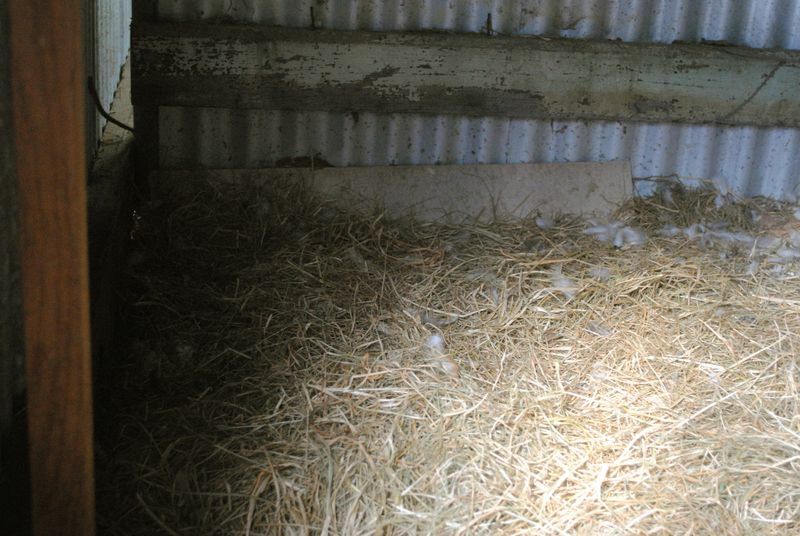 Hens can be very sneaky critters!! !so glad you are getting some eggs! 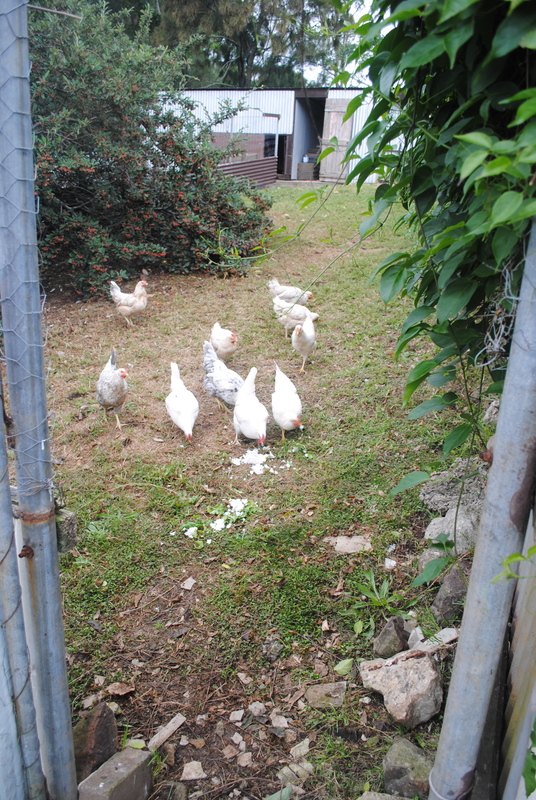 beautiful – we love our chooks and are up to 11 and a friend just arrived with 3 girls for us to chook sit! 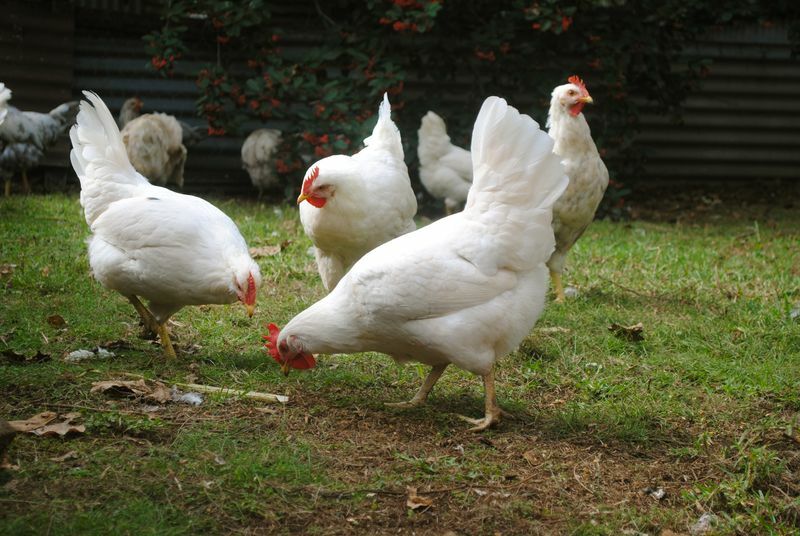 crumbs – lucky we are entering the off egg season or we would be struggling to keep up! 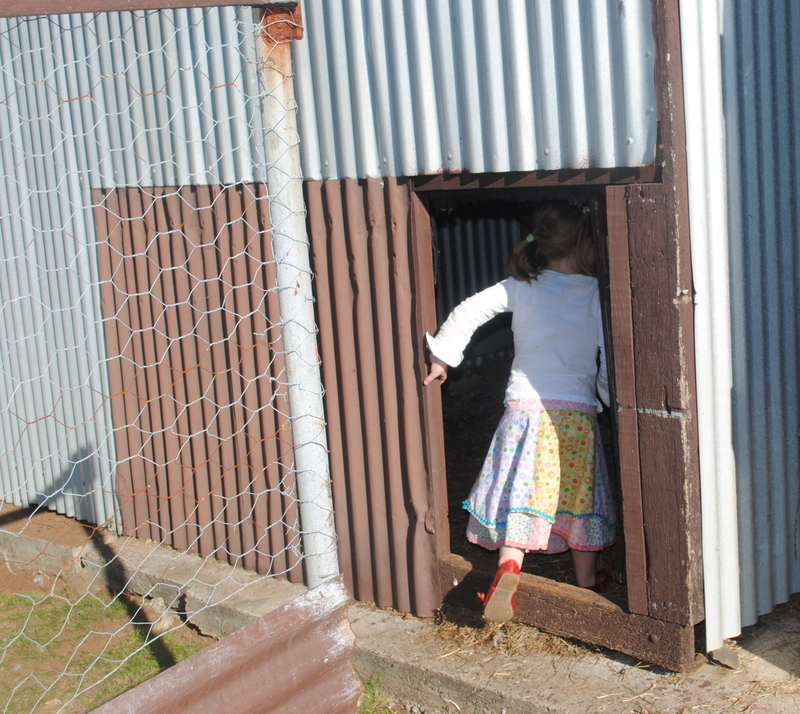 yes we’ve been thinking about getting a dog and not sure about the chickens… ours are currently in a very big run, fenced, not free range – but the next door chooks are always here! thank you for that input, fella.